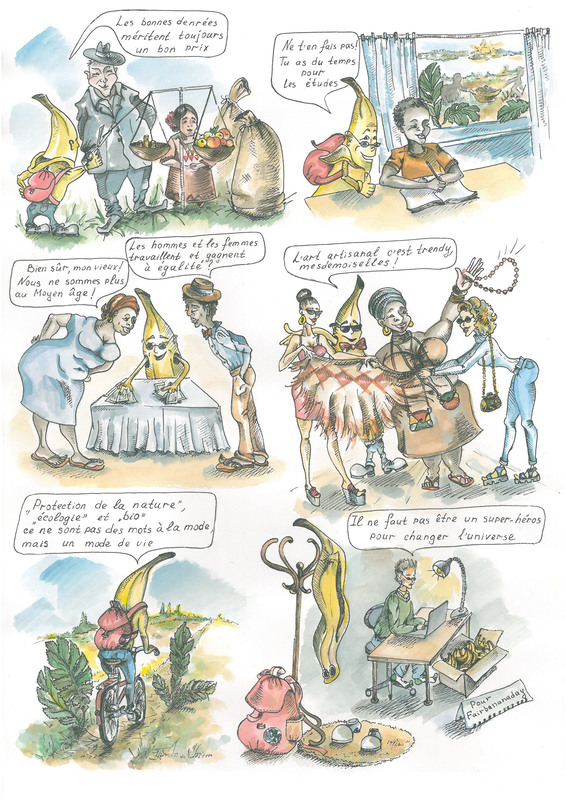 In 2016, WFTO-Europe organised a Fair Trade Comics Contest to raise awareness about Fair Trade Principles using a popular mean in Belgium: comics. First of all, we would like to thank all participants for taking the time to participate in this contest : we are aware that conveying Fair Trade messages through such an unconventional channel was a real challenge, but you outperformed our expectations and did a great job! 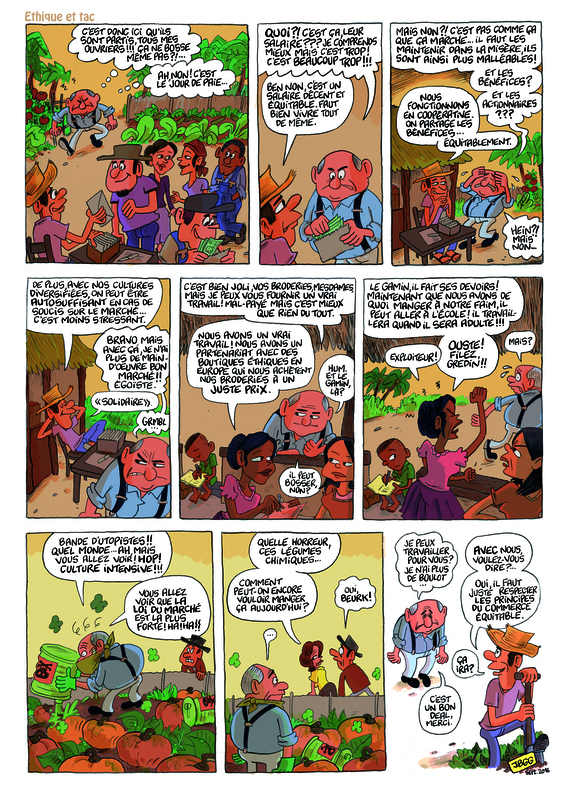 Yacine Canamas, an independent Comics Artist. 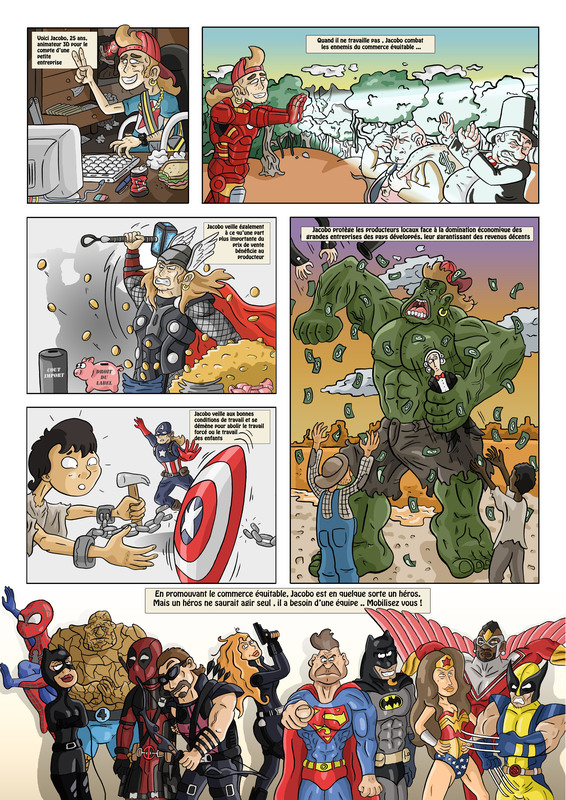 Here below you can have a look at the comics that the other talented participants realized! Thank you again to everyone for participating, for your dedication and the great results ! It was an inspiring trial for us that we would love to repeat in the future!